The Music Teachers Association of California Certificate of Merit. The Royal Academy of England Certifications. The American College of Musicians Certifications. All those fine institutions have certifications that are available for different instruments and levels of proficiency, starting from the earliest beginner to a certificate that is equivalent to a Masters Degree. Although some are more challenging than the others, no matter what your level is, Gingis Academy of Music will prepare you and provide you with a place to start. To insure that every student is acquiring stage performing experience while attending the Academy, we provide students with such an opportunity, depending on the needs, abilities and proficiency levels. Monthly recitals are available at the Academy, as well as in various recital halls through the Music Teachers Association of California, the Music Teachers National Association, as well as universities and other local and national organizations. Participation in numerous national and international competitions is available to qualifying students. Various engagements with orchestras are available for instrumental students, both as soloists and orchestra members. Annual Gingis Academy of Music Scholarship competition is available for students attending the Academy on the regular basis. To inspire our young musicians, monthly faculty recitals are held at the Academy, consisting of both solo as well as chamber music. 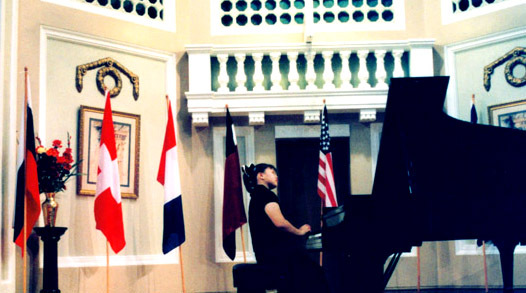 Master Classes given by internationally recognized musicians are held at the Academy every year, and are available for interested instrumental and vocal students.